Our First get together went Fairly well! 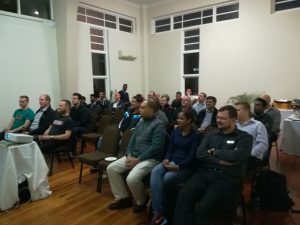 about 40 people from various parts of the industry came and some from as far afield as Cape Town! It was agreed we will have events every quarter, in a very similar format to the one we had last night. 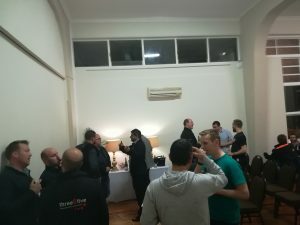 eg some technical talks, and a good load of social! 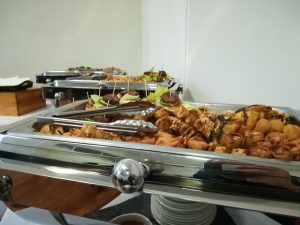 Thank you to Seacom who sponsored our drinks and snacks, and the lovely venue provided by Point yacht club. 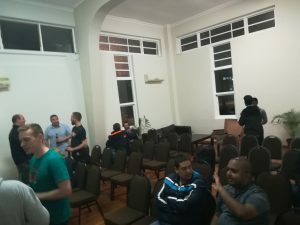 Donald then gave us a chat about his recent visit to Afpif, and also a discussion about why you should peer in more places!. 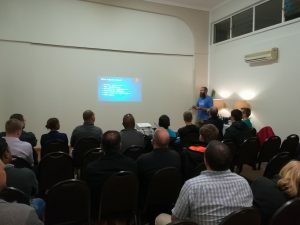 We finished off with a technical talk about tracerouter, which was borrowed from nanog. You can download the full presentation here. We hope to see you all at the next event!